Professional POS software for fishing and outdoors retailers | A blog about smart POS software for independent small businesses. We are grateful for the support of more and more fishing and outdoors retailers who are choosing our software for their businesses. We are frustrated with the world is ending type reporting relating to the arrival in Australia of Amazon. More stories have been published recently. Most stories are not reporting. Rather, they are ignorant fear-mongering. Unfortunately, the wrong people are often quoted, like the ever-shrill Gerry Harvey. We shot this video to provide some thoughts on the arrival of Amazon and to offer suggestions for small business retailers. Recently, we engaged in a Q&A on our specialist firearms business software, where we explored some of the specialist aspects of the software. We are grateful for the opportunity to share and to learn more about what we can do to help provide even better software to firearms retailers. 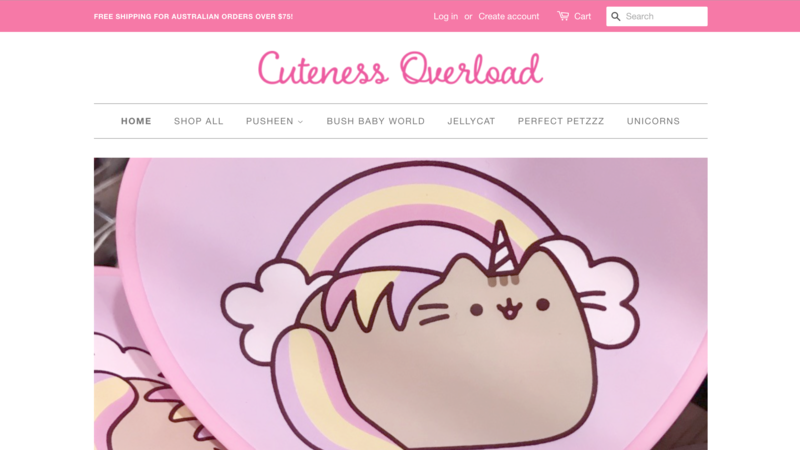 Cuteness Overload is another website from our talented team, bringing the wonderment of Pusheen to the world. Small business retailers love that they can see how business our help desk is at any given time. This information empowers them. It also provides a level of transparency that is rare from POS software companies. Through our website, our customers can see calls in the queue, calls resolved that day and more. Too often, POS software companies hide this information from their customers, leaving them in the dark about what lies ahead in terms of wait time or help desk call volume. We have found that transparency is appreciated. This is our commitment. It is one thing to claim rapid response to POS software help desk calls and another entirely to show, with evidence, that this is what is happening. The evidence we provide is unedited, untouched. We appreciate that our customers love it. 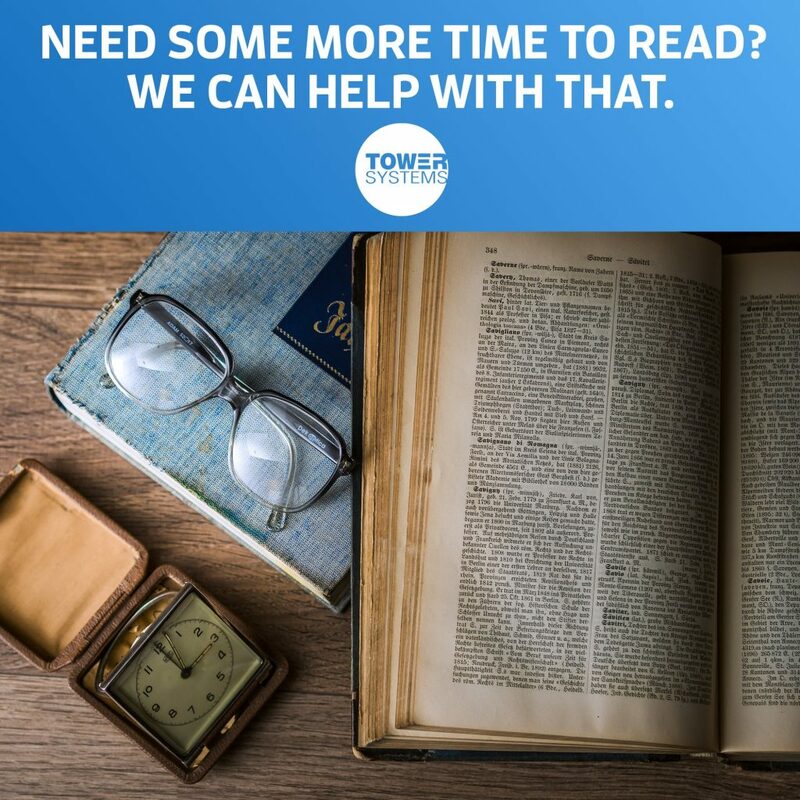 As part of our Tower AdvantageTM customer service experience, we help small business retailers using our POS software to continuously enhance their knowledge of how to use our software and how to get the most for their business from our software. Every business with our software has access to our unlimited free POS software training opportunity. The training we provide, at no extra cost, is live, one-on-one, on the phone and online. It is the personal one-on-one training that our small business retail customers love the most. In our weekly customer service email, print newsletter and through the help desk we promote access to free training. We are grateful to be in a position to offer this free training and to make access easy. One of the best ways to help small business retailers to compete is to arm them with tools through which they can compete. One perfect too is our software software. Our free training helps them use the software in a best-practice way, so they are better equipped to compete, and win! The training we provide is done outside the help desk, away from interruption and is focussed 100% on the business being trained. This ensures that our training is purposeful and useful. We know this fo0cus is what delivers loved outcomes. At our POS software company we actively help small business retailers who use our software to reduce the opportunity of employee theft. We do this in a range of overt and covert ways, through our software and outside off our software. As we have decades of experience running different types of retail businesses and through our work with, 3,500+ other retailers with our software we have a deep pool of knowledge and experience on which to draw. Employee theft is something to be managed. By managed, we mean measured, understood and mitigated. Track your stock. Receive all stock into your business through your computer system so you know exactly what sock you have. Track every sale by employees. Give your employees a card with a unique barcode or have them enter a code – to track every sale they make back to them. Change the code every six months or so. Do your end of shift through your software and have a zero-tolerance policy on being over or under. Reconcile banking to your computer software end of shift. One business where this was not done was being skimmed regularly for $200 a day. Check Gross Profit by department. If GP is falling outside what you expect, research it further. Keep the counter clean. An organised counter reduces the opportunity for theft. It makes detection easier. Beware of calculators with memories at the counter. One retail business employee used the memory function to track how much cash had to be stolen prior to balancing for the day – cash from sales not rung up. These steps work – based on decades of helping small business retailers to reduce and manage employee theft. Theft, employee and customer, costs a typical small / independent retail between 3% and 5% of product sales revenue. Management attention can cut this dramatically. It does not take much time. No, it is more about having professional processes in place that everyone in the business follows. The Australian bike shop marketplace is facing relentless competition from online businesses, especially overseas online businesses that are using best0-practice search engine and other tools ton reach people considering a bike purchase. Trading through a range of websites and other facilities, overseas operators are pitching as if they are local businesses, seeking to take valuable revenue from local bike shop specialists. Tower Systems provides bike shop software to local bike retailers. Ours is Australian developed software for local conditions. Our bike shop software is webstore connected, to Magento, Shopify or WooCommerce directly, as we partner with each web platform to provide a beautiful and easy web presence solution. Using our workshop management tools, local bike shops can streamline the personal services they provide. This is important as this is part of their business where they can easily compete with the overseas businesses, where there can show that being local matters and that this also plays out to providing better service when it comes time to purchase bike. Using our customer loyalty tools local bike shops can understand the value of a shopper for life and support them through their myriad purchases, helping and guiding them, and, most important of all, rewarding them for their loyalty and being loyal back to them. Through our supplier integration tools, local bike shops can connect with suppliers, making it easy to receive inventory files and invoices, ensuring accurate data from the outset. Using our e-commerce link tools, locally owned bike shops can trade 24/7, easily, professionally and at any location they choose. This can help put local businesses on the world stage, easily and consistently. Tower Systems serves many bike retailers in Australia and New Zealand. Our focus is on providing fresh professional software that serves the competitive needs of local bike retailers. We work with store owners, managers as well as with suppliers, to provide an ever evolving solution. While the overseas onslaught is challenging, Tower systems is in the corner of the local bike retailers, helping them to compete, encouraging them and providing a software solution on which they can rely in their business, every day. We are grateful for the support of Australian newsagents as they continue to vote with their feet and money that Tower Systems offers the best software for Australian newsagents. We make the claim on the basis of market share, customer retention and feedback from people who have joined our community from elsewhere. Switching is not expensive. If you have current hardware, the cost can be low and paid over three years after which there is no mandatory cost. On site installation and training. Tower Systems is well resourced to help newsagents navigate change. Updates when you You are in control of when you load updates. We have a competitor, POS Solutions, that has published a claim of constraints, barriers, on the Xero POS software link. For the record, we note that no such constraints or barriers have been experienced by us in any of our retail businesses or in any Tower Systems client business using our direct Xero interface. Footnote: the challenges for the competitor could be due to how they connect to Xero. Tower Systems is a Xero partner, listed on the Xero website. The competitor is not. They may be going through anther party. Yes, Amazon is coming. No, the world will not end. We are frustrated with the world is ending type reporting relating to the arrival in Australia of Amazon. More stories have been published this week. Most stories are not reporting. Rather, they are ignorant fear-mongering. Unfortunately, the wrong people are often quoted, like the ever-shrill Gerry Harvey. You have secure onsite storage as well as offsite storage. Everything is backed up, you can be specific in selections. There is niobium’s operational overhead. These incremental backups are catalogued on your NAS device. They are then collated to create your full system backup. This process allows access to backups from a particular point of time – even at the file level. Because backups are stored on the NAS device you have immediate access in-store as well as being sent to the Tower Systems Data Storage Centre in the cloud where a secure additional offsite copy of your data is kept. Can I sell bundled items like a rod, reel and line? Yes, this is easy. You can have a bundled price as well as single prices for each. Can I sell bait by weight? Yes, the software has a repairs facility. Can I share local fishing location knowledge on receipts? Can I setup different pricing for members of a local fishing club? Can I sell sinkers at a multi-buy price where the per unit price decreases as the number purchased increases? Can I handle special orders where a customer orders something I do not currently have in stock? Can I connect my POS software to a website? Yes. This is very easy if Tower develops the website. If you already have a website we will provide your web developer with link instructions to connect the site to the data in the POS software. Your POS software holds all your inventory data including images. We will advise setting necessary to ensure the easy flow of inventory and sales data. Can I buy an item, like sinkers, in bulk and separate this down to smaller retail packs? Yes. Plus, you can set your own pricing and generate your own barcode for these packs. I have a local technician who suppliers all my hardware. Can I still use them? Yes, if they follow the hardware configuration advice we provide. Like any software, we expect a specific environment. We provide the information to local techs at no cost. If I install your software do you come to my shop? Yes. Being in your business enables us to see how and where the software could be used and to ensure what we propose is right for you. Is there a limit on how much training is provided? No. Our Tackle World package includes 3 days of our time to install the system and train you. 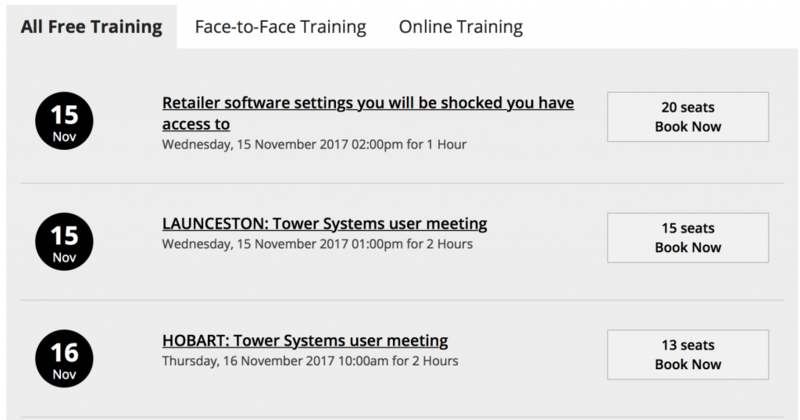 Long after the face to face training in-store Tower Systems provides access to unlimited additional training, at no extra cost. Is there a mandatory subscription fee? No, maintaining annual software support coverage is optional with Tower Systems. You can choose to pay per call – this means if you don’t call, there is no cost. After 12 months initial support coverage included in the Tackle World package, we will invite you to stay supported. If you do, the current annual support cost for fishing stores is $1,025 Inc GST no matter what the size of your store or how many computers you run in the business. Is the software installed on my computer or in the cloud? Whichever you prefer. Most of our customers like it installed locally and backup to the cloud so they can keep running if the internet is down. That said, running in the cloud is easy. Is the software specific to Fishing and Outdoors businesses? Yes, it has been highly tailored and will continue to be, based on customer feedback. Is there a loyalty facility for people who I will only ever see once – to get them to spend more in that only visit? Yes. We have an excellent loyalty tool in our loyalty facilities for exactly this type of shopper. It works particularly well with guys. We have businesses getting 25% engagement with it, increasing the value of the one-off shopper visit. Can I have my sales and other data flow across to my accounting software? 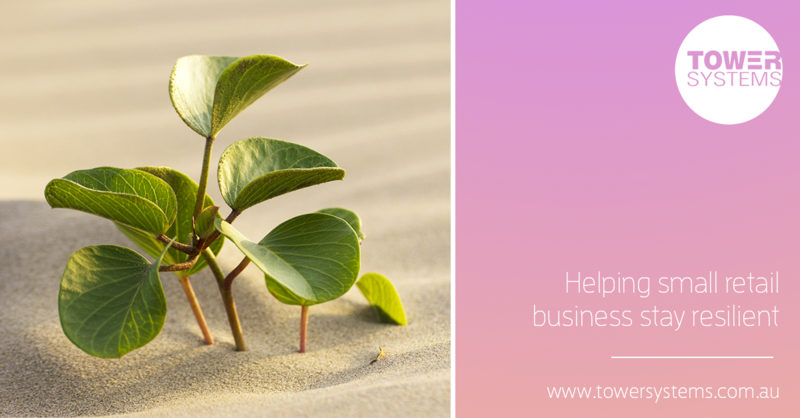 Yes, we send your purchase & sales information across to Xero, MYOB & Intuit (Quickbooks). While you can choose, we love Xero and use it extensively ourselves. Do I have to buy a licence per computer? Yes. It is like someone who wants two rods – they must pay for both. In our case, additional licences are charged for, but the charge is modest and it is once-off. i.e. no on-going fee. Can the software run across multiple stores? Yes. We call this multi-store. It allows you to easily share stock and customer information, order and transfer stock, create stock orders and produce performance reports across your multiple stores. You can buy it outright, lease it or rent it. The choice is 100% yours. Lease is popular as you can claim the cost up front and spread the payments over a set term. See awesome POS software in Hobart & Launceston. We are hosting user meetings in Tasmania, showing the latest release of our POS software for: pet shops, gift shops, jewellers, bike retailers, garden centres, newsagents, toy shops, firearms retailers and produce stores. 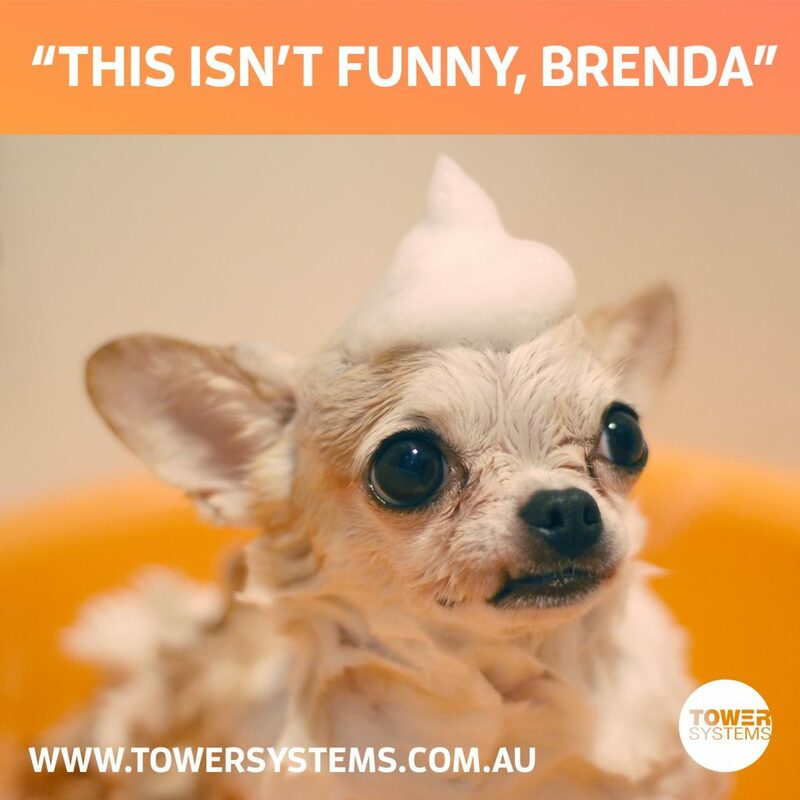 Tower Systems currently serves more than 100 customers in Tasmania. We invite you to come to the user meetings to see the software and ask questions about how it may serve their businesses. It’s free. Launceston. Wednesday Nov. 15. @ 1pm. Quality Hotel Colonial, Elizabeth Street. Click here to book. Hobart. Thursday Nov. 16. @ 10am. Rydges Hobart. Cnr Argyle & Lewis Streets. Click here to book. One of our clients was locked out of their system last week by a Crypto locker attack. We had them up and running within 24 hours – without them paying anything to the criminals behind the crypto locker attack. This was achievable solely because used our cloud backup service. The 24 hours included moving them to a secure hosted server for their multi-store system. Had we not done this extra work, we could have had them up and running in a couple of hours. A Crypto locker attack can devastate any business. 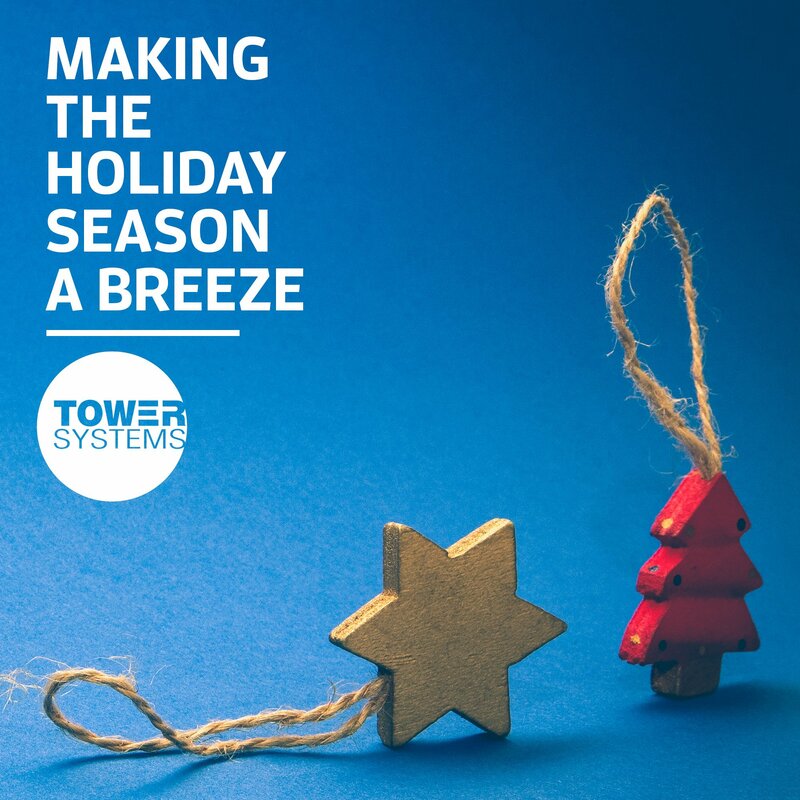 Tower Systems is proud to have provided its customers with access to a proven easy and low cost recovery option that minimises business disruption and provides certainty in what is often an uncertain time for small business retailers.